Almost one year has gone by since the Midnight Rider has left this world. 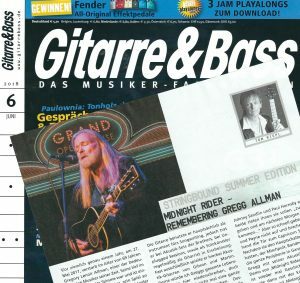 Please check out my tribute column on Gregg Allman, published in the current issue of Gitarre & Bass magazine (June 2018, including a transcription of “Midnight Rider”). We miss you, Gregg!